I received samples to facilitate my review. All thoughts are my own. Back before I had kids, back when I was a teen and had no real responsibilites, and gas was 99 cents a gallon, one of my favorite thing to do was to hop in the car and drive. I had no map, no GPS, no cell phone. I would get in the car with a friend, and we would go see what we could find. Some times we would be smart and head home before the night was over other days we would wind up staying where ever we were. Or we would decide to head over to a friend who lived who knows where and stay there. To be prepared for my spur of the moment trips, I always had a few things in my car ready to go. In my trunk, there was a backpack with a change of clothes a few personal hygiene items, and a blanket. As my kids were born, I still took random trips like this but what I had in my car changed. I needed to be more stuff. I had my back pack, a pack for the kids filled with clothes, diapers, toys, sealed snacks, juice boxes, and even a pack and play (those portable cribs) for a while. Besides the things I knew that they needed, I also carried those emergency things. Teething gel, medicine for fevers, and other first aid items. As I had more and more kids, you can imagine that what I had to pack in the car grew. And all of that was just for my spur of the moment trips. AS the kids came, and grew, plus the price of gas went up, my on a moments notice trips became less and less. It is hard to do that with 4 kids, ranging from preteens to babies. But I still needed to carry certain things for our smaller trips, day trips or just running around. My son and I suffer from bad headaches. 3 of my kids have severe allergies, which can come out of no where, because they are allergic to dust, mold and animals. And you never know when someone will spike a fever or get a belly ache. I could carry a bottle of medicine for each one of those symptoms, but it can be a pain. One, it takes up a lot of space in the car, bag or suitcase, and needing a drink for whoever to take the medicine. I recently discovered UrgentRX. 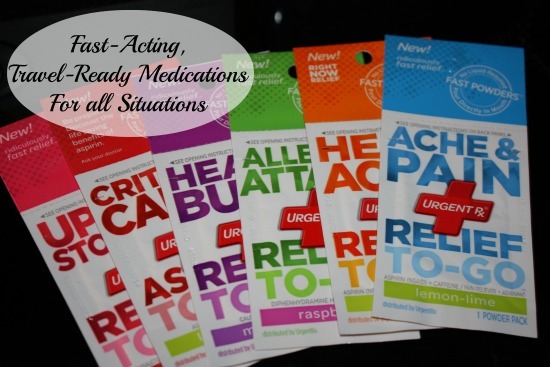 Urgent RX is perfect for storing in the car, in my bag, or throwing into a suitcase. It is about the size of a long business card. 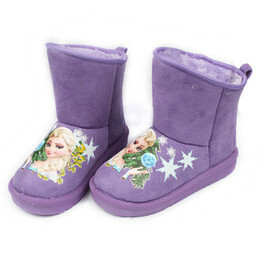 It is filled with a fast acting powder that doesn’t require any water. Just pour the powder into the mouth and the medicine gets to work. What is better is that there are several types of medicine. There is medication for headaches, pain and fever, allergy, heartburn, and upset stomach. But the UrgentRX line goes one step further. There is even a Critical Care medicine. According to the American Heart Association, 1.25mm people in the US suffer a heart attack annually, and 450,000 die. Most people know that it is recommended to take a low dose aspirin during a heart attack. But most people do not take low dose aspirin everywhere they go. 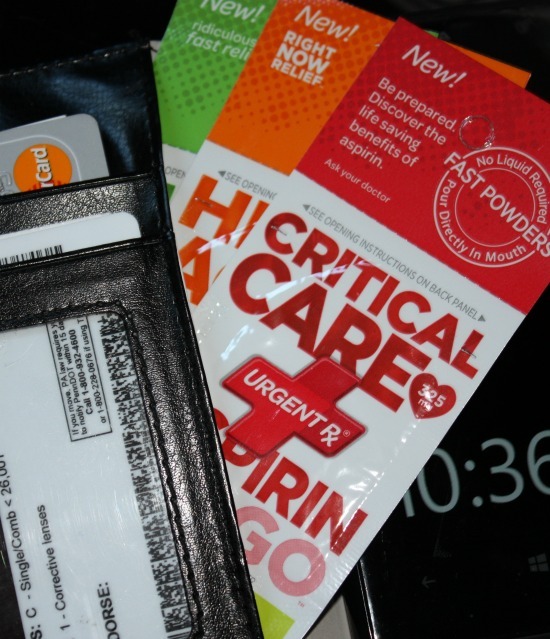 Carry a UrgentRX Critical care Aspirin to go in your wallet, between your phone and cell phone case, or even just in the glove box of your car. Personally I make sure to carry a Critical Care Aspirin, a headache relief and an allergy relief in my cell phone wallet. I am able to carry all of the just in case medicine on me, without the need of a big bag. UrgentRX is available online through Amazon and drugstore.com, and can also be bought at Walgreens, Target and other local retailers. There is a store locator on their website. How could UrgentRX help you when you travel or even just being your everyday life?